I don’t know about you, but when I think of Halloween there are a few spooky characters I think of. I think of witches, ghosts, skulls and of course the spider. I just find spiders very scary. 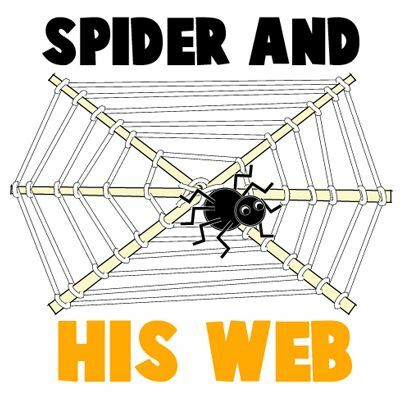 In this post you will learn how to make a Halloween spider on his web perfect for decorating and displaying with your other Halloween paraphernalia. On lookers will love it!! 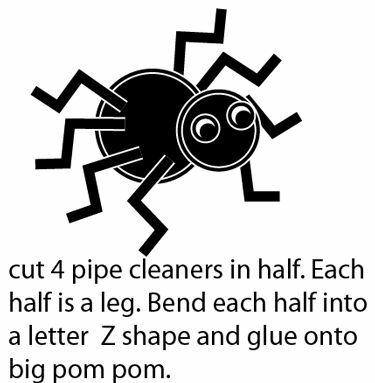 Also check out our other Halloween Crafts OR Learn How to Draw a Cartoon Spider Web. 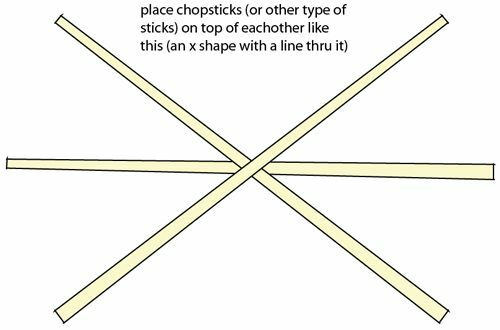 Place chopsticks on top of each other like above (an x shape with a line through it). Glue all the sticks together and then take some yarn and wrap it around the middle. Glue all together in the middle again. Start wrapping the string around the chopsticks. 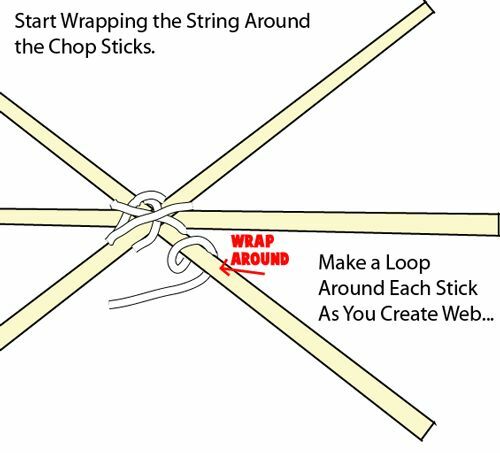 Make a loop around each stick as you create the web. 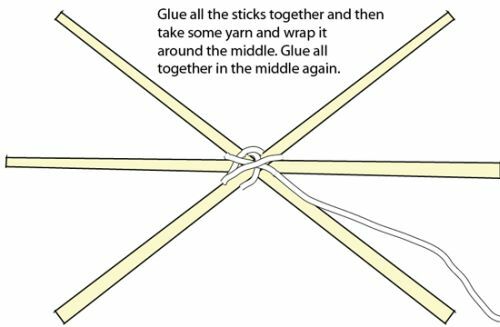 Keep wrapping yarn or string all around the sticks like you see above. 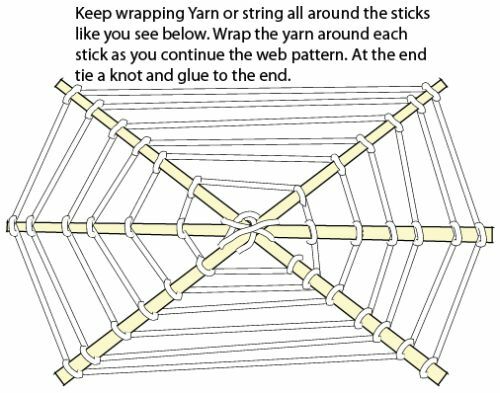 Wrap the yarn around each stick as you continue the web pattern. At the end tie a knot and glue to the end. 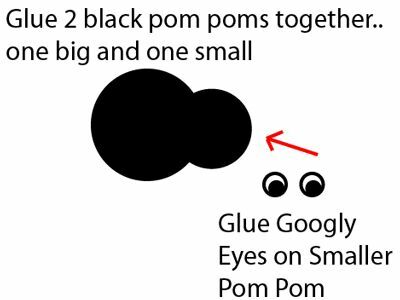 Glue 2 black pom poms together… one big and one small. Glue googly eyes on smaller pom pom. Cut 4 pipe cleaners in half. Each half is a leg. Bend each half into a letter Z shape and glue onto big pom pom. 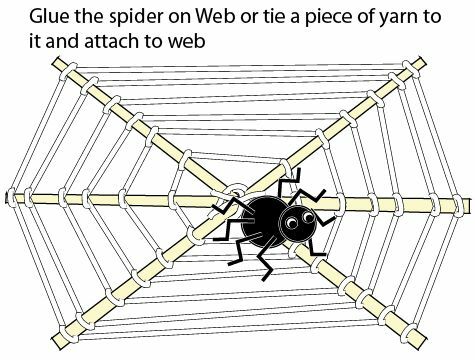 Glue the spider on the web or tie a piece of yarn to it and attach to web. Isn’t this craft perfect for Halloween? The kids will love doing this craft, but they will also love the finished product even more. They will certainly enjoy displaying it proudly this Halloween season. And, make sure to check out our other Halloween Crafts so you can decorate your entire house this Halloween.